TASMAN, 86' ( 26.21m) Carey Explorer 2007 Whilst her styling and wooden construction is traditional, Tasman is uncompromisingly modern and practical. Built to survey standard, the full displacement hull and stabilizers have proven to offer comfortable handling even in rough conditions. 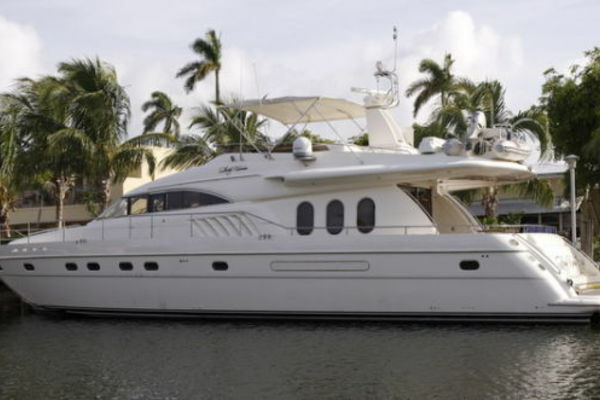 United Yacht Sales New Jersey would love to guide you through a personal showing of this 86' Carey Explorer Explorer 2007. 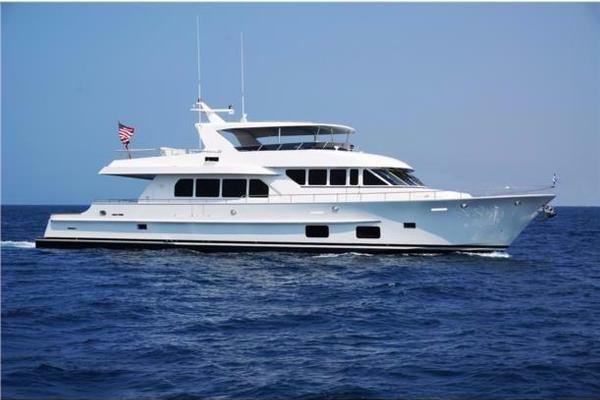 This yacht for sale is located in Palma Spain and priced at $3,350,000. For a showing please contact us by filling out the form on this page and we will get back to you shortly! Inside, the interior styling has a timeless, classic elegance. The project team has created spaces which cleverly blend the traditional with the modern, and practicality with an easy luxury.Doors opening from the aft cockpit reveal a saloon area with generous proportions and plentiful seating and lounging options. The leather settees are in a natural tone which works splendidly with the golden hue of the glossy wood cabinetry. Light walls and neutral carpets enhance the airiness. Although this space feels solidly built, the clever use of color and materials lends a beach-house like quality making for a bright, comfortable sanctuary even during the most inclement weather conditions.Multiple visual and audio entertainment options in the saloon area are ideal for entertaining family and guests. A reverse cycle Marine Air air-conditioning system services all cabins and guarantees comfortable interior temperatures year round. The open plan saloon area leads on to the dining space which features a large custom-made table that can easily accommodate 6 guests or more. Beyond this area is the galley. On the same level as the main living area, the galley has great visibility and offers the chef du jour ample opportunity to participate in the social goings-on in the saloon and cockpit spaces.The Galley’s granite bench tops are both luxurious and practical, as are the dishwasher, the Bosch induction cook­top / oven / warmer and microwave, a duo of pantries, and the large refrigeration and freezer capacity. Features like these make family mealtimes and entertaining onboard easy. Crew also appreciates the generous galley facilities, in particular during long ocean passages when meal preparation is not always a pleasure. The Owner’s Stateroom and ensuite are located aft. Spanning the full width of the vessel, this large cabin features direct access via a small curved staircase to the boarding platform. A great-sized bed, leather settee, and acres of storage provide for every creature comfort. Adding to the haven­like feel of this space is the ensuite’s chic granite fit­out and hotel­ style tap-ware.The high quality features and ingenious use of space in the Owner’s Stateroom are testament to the attention to detail delivered by Tasman’s design and construction team throughout. Located forward of the main saloon area and accessed via a gently curved companionway, the three guest cabins each boast an excellent level of finish, high gloss wood accents, audio and visual entertainment units, and granite in the bathrooms.GUESTSOn the starboard side the VIP guest cabin has a comfortable double bed and an ensuite. To port another cabin has a large single bed with a raised bunk bed athwart ship. The roomy forward cabin accommodates a further three people with a single bed to starboard and two bunks to port. This cabin’s full head room makes it a comfortable, airy space for guestsor crew to rest. A good-sized shared bathroom services the latter cabins.LAUNDRYA walk-in laundry room is also located forward. With a separate Fisher & Paykel washing machine and dryer, as well as a good floor area, there is sufficient space to sort and fold laundry without the need to overflow into the companionway and shared spaces.CREWCaptain's cabin is off the bridge.